The OESA N.A. OEM Production P.O. Terms and Conditions Comparative Analysis is a ready-reference publication for the standard OEM Terms and Conditions included in most purchase orders. It is meant to clarify essential documents within OEM/supplier contractual relationships, and highlights areas most critical to today’s industry environment. 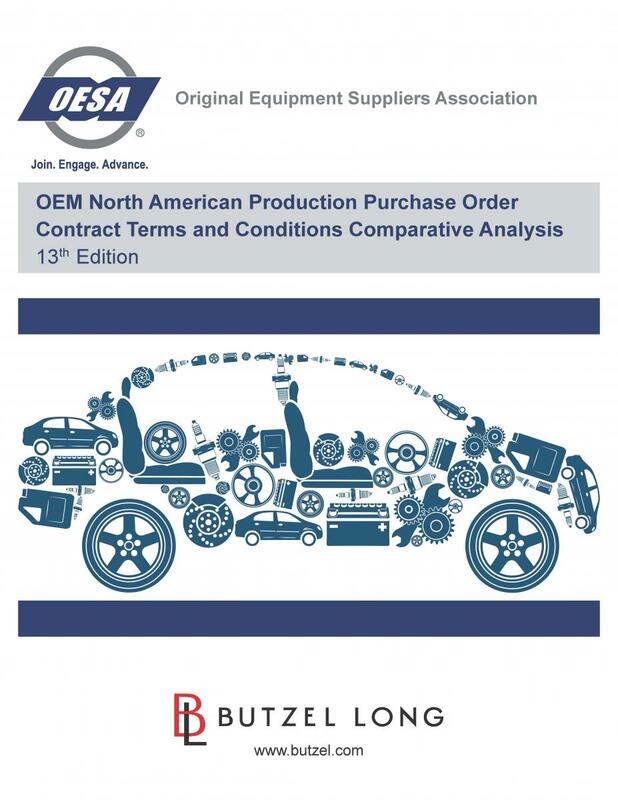 OESA and Butzel Long have also partnered to develop a Comparative Analysis, which compares the terms and conditions of BMW, FCA US, Ford, General Motors, Honda, Hyundai, Kia, Mercedes-Benz U.S. International, Inc., Nissan, Tesla, Toyota, Volkswagen as well as the OESA Model Terms and Conditions. The "Analysis" includes a commentary section on each provision to help suppliers understand the differences in the OEM approach and interpret the language and intent of various OEM terms. To view sample pages, please click image below. To order the electronic version (for OESA members only) , download the order form.